Celtic resumed normal service in the Ladbrokes Premiership but only at half-throttle with a 2-0 win over Partick Thistle at Parkhead. 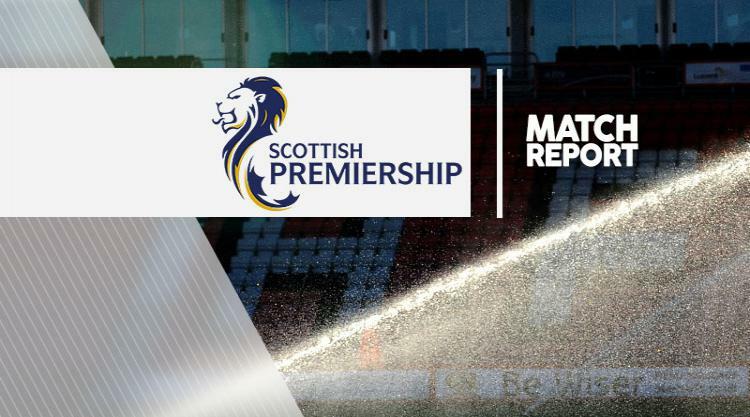 The Hoops' 4-0 defeat at Hearts on Sunday was their first domestic loss in 69 games and it was a subdued home side who led at the interval through a powerful 35th-minute strike by midfielder Stuart Armstrong. Brendan Rodgers' side continued to labour after the break before left-back Kieran Tierney added a second in the 67th minute to make sure of the win which took them five points ahead of second-placed Aberdeen, who visit on Saturday. Thistle had contained Celtic for spells but they ended the night as they had started it, two points adrift of Ross County at the bottom of the table. Following his side's capitulation in Edinburgh, Rodgers made three changes with 19-year-old French striker Odsonne Edouard, stopper Kristoffer Ajer and midfielder Stuart Armstrong coming in. Leigh Griffiths and Olivier Ntcham dropped to the bench, while the injured Jozo Simunovic was out altogether. Thistle manager Alan Archibald drafted in Steven Lawless and Andrew McCarthy for Martin Woods and Conor Sammon, the latter starting on the bench. Despite Celtic looking to make amends for Sunday, there was a surprisingly low-key start to the match in front of a relatively small home crowd. Nothing much happened in either penalty area until the 12th minute when Hoops defender Ajer got on the end of a Scott Sinclair free-kick only to knock it over the bar with his shoulder. Jags keeper Tomas Cerny made a decent save from a Tierney drive before Sinclair fizzed a shot from 25 yards over the bar just past the half-hour mark. However, three minutes later, and somewhat out of the blue, Celtic took the lead. Armstrong took a pass from Tierney and eased into the Thistle penalty area and, upon finding himself with space and no road block, the Scotland midfielder took the opportunity to hammer an angled-drive high past Cerny. At the interval Celtic's new signing, 32-year-old centre-back Marvin Compper, who will officially join the Scottish champions on January 1 from RB Leipzig on a two-and-a-half-year deal, was introduced to the home fans - who saw little improvement in the early stages of the second half. In the 61st minute Cerny made a fine save down at his left-hand post from an Edouard volley after Maryhill defender Jordan Turnbull inadvertently headed a clearance straight to the striker 14 yards from goal. Minutes later the Thistle keeper again saved from the Frenchman, who had swept a Sinclair cut-back towards goal from eight yards. Celtic eventually got their second when the tireless Tierney drove forward again, worked a one-two with Sinclair and from six yards fired past Cerny into the roof of the net. A standing ovation in the 69th minute from the Celtic supporters paid tribute to the side's British domestic unbeaten record and at last the champions found some zip, but ultimately no more goals.